A public appeal has been launched by Dorset Police to find a laptop that was stolen during a burglary while the occupant was saying goodbye to her 15-year-old daughter who tragically died four days earlier. Sometime between 10.45am and 1pm yesterday, Thursday 23 November, offenders smashed a door to gain entry to an address in Leybourne Avenue, Bournemouth. A white Xbox One, Apple MacBook Air, daisy Pandora earrings and a quantity of cash was stolen. Natalie Elbrow, 47, discovered her home had been burgled after she returned from Julia’s House in Poole where she had been saying goodbye to her daughter Daisy. 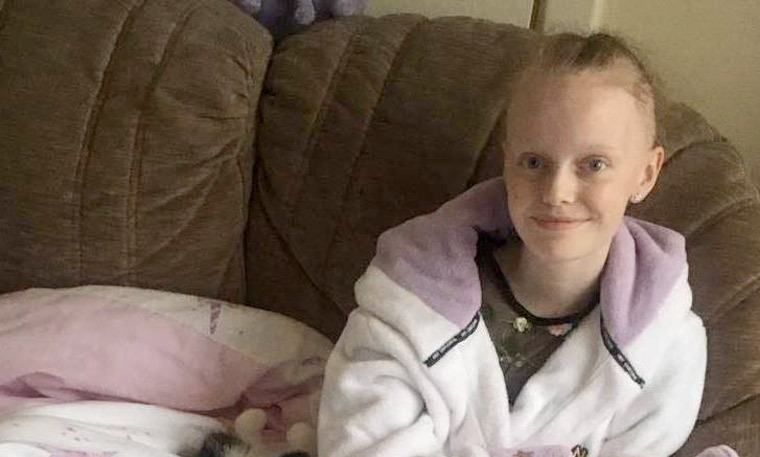 Daisy tragically died in Poole Hospital on 19 November – five days after her 15th birthday – following a bravely-fought seven-month battle with a rare cancer known as renal cell carcinoma. Doctors discovered the main tumour was in her kidney but it had also affected her spine and lungs and spread to her liver and lymph nodes. The teenager, who was a pupil at Bourne Academy, underwent specialist chemotherapy and spent most of the time following her diagnosis in hospital. The MacBook and Pandora earrings belonged to Daisy. Funds for the laptop were raised through a raffle organised by the stroke unit at Poole Hospital. A Crowdfunding page was also set up for Daisy. Natalie said: “Daisy was a real fighter. She fought that cancer to the very end and was so brave. Anyone with information is asked to contact Dorset Police at www.dorset.police.uk, via email 101@dorset.pnn.police.uk or by calling 101, quoting occurrence number 55170182638. Alternatively, contact Crimestoppers anonymously on 0800 555 111 or via www.crimestoppers-uk.org.